Psalm 104:1, 8 – Bless the Lord, O my soul! O Lord my God, you are very great! You are clothed with splendor and majesty. 8 The mountains rose, the valleys sank down to the place that you appointed for them. On the trail to Grinnell Glacier, Glacier National Park, Montana. Read more about my “God is Revealed…“ category of posts. 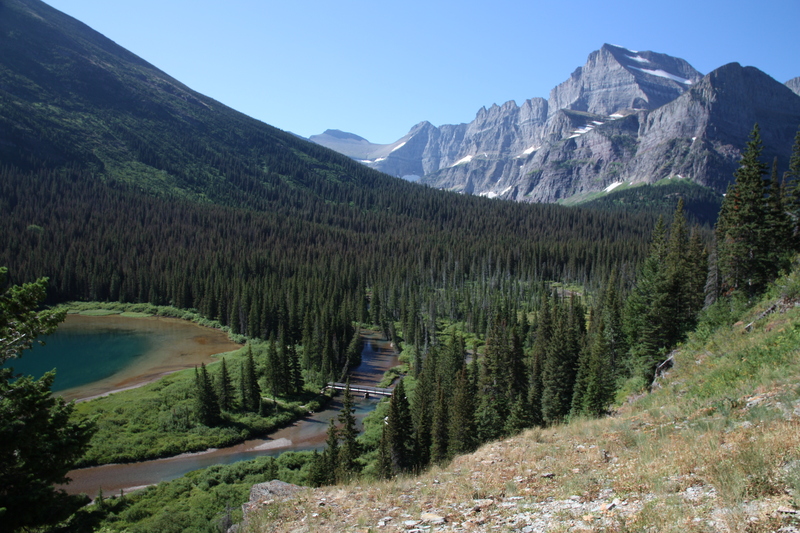 This entry was posted in God is Revealed... and tagged Glacier National Park, Grinnell Glacier, Montana, National Parks and Monuments, Psalm 104, Rocky Mountains by Todd D. Nystrom. Bookmark the permalink. Perfect verse for this area! Glacier is my favorite place on the planet & this is my favorite area of the park. To me Glacier is like looking directly at the face of God. It’s perfect, just the way He made it, uncorrupted by man. God is am awesome Creator and Glacier is an amazing place in his creation! I hope that my wife and I will be blessed to make another trip there in the future. My wife and I have been on that trail, too. It is impossible to spend any length of time there and remain an Atheist. Very much enjoying these updates, keep them coming. Thank you! Glad you are enjoying. My wife and I were blessed to visit Glacier N.P. last summer to celebrate our anniversary…God has certainly given us plenty of evidence that he is there and GNP is definitely one of those places!